Milan Porta Nuova tour is a journey among the skyscrapers and stunning infrastructures of the ambitious urban revitalisation scheme in the Garibaldi, Isola and Varesine districts. 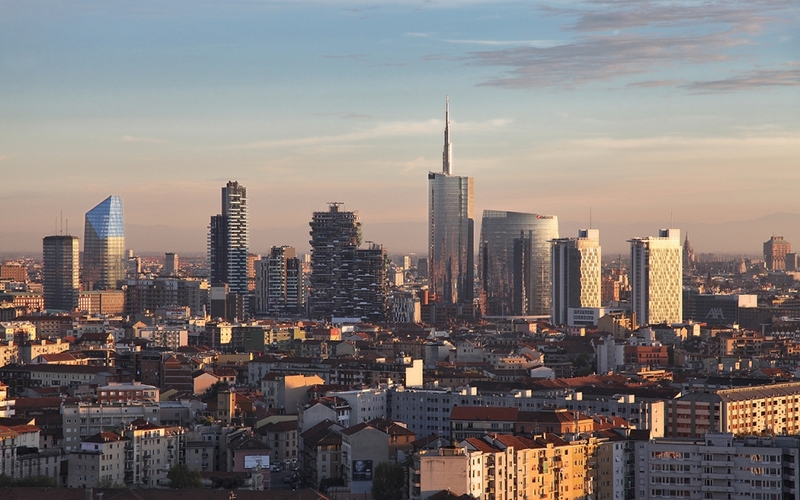 A guided walk through one of Europe’s biggest rehabilitation sites, which is radically changing the Skyline of the city of Milan with new residential buildings, prestigious business centres, green spaces, cycle tracks and pedestrian areas. The guided visit to Milano Porta Nuova begins in Piazza XXV Aprile, with a short stop at Princi, famous bakery designed by Antonio Citterio and continues to Milano Eataly Smeraldo. Then there’s time for a spot of retail therapy among the designer gifts and fashion accessories at the former Corriere della Sera ink factory. After “a round” of elegantly-presented tea and herbal infusions at the Dammann Frères boutique, the walk continues along Corso Como as far as Carla Sozzani’s World of 10 Corso Como, where fashion, art, design and kitchenalia meet in an intriguing space designed by Kris Rhuhs. Then on towards “new Milan” and the Residenze di Corso Como, designed by Muñoz + Albin in collaboration with Tekne in Milan. The Costume National store is just the first of the 50 spaces in the new Corso Como District. 4@1 Home, conceived by Dolce Vita Homes in collaboration with Coima Image and Nauta Yachts, is a development of innovative approximately 40 m2 residences, optimised and inspired by nautical interiors. A little further on is Piazza Gae Aulenti, famous for its art installations, water features, plays of light and its skyscrapers. 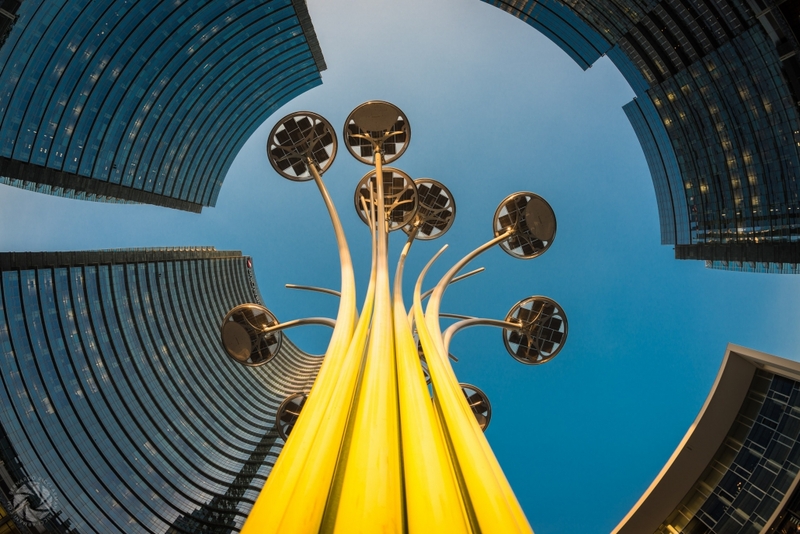 Here a sculpture by Alberto Garutti, consisting of 23 golden “trumpets”, provides an audio connection with underground sounds, and the square is lit by the Solar Tree solar-powered street lighting system designed by Ross Lovegrove, given to the city of Milan by Artemide. The buildings of the very recent Hines Porta Nuova complex loom overhead, including Cesar Pelli’s 230 m Unicredit Tower (the tallest in Europe) and the Porta Nuova Building by the Milanese architects Piuarch. The new, sinuous white building encompasses Alexander McQueen’s showroom, the Porta Nuova info-point containing plans and models of the new area, and numerous high-end shops such as the Nike store. The Feltrinelli RED bookshop (Read, Eat, Dreams) on the ground floor is a space that brings together the pleasure of reading and the pleasure of eating and drinking. The tour then continues towards the Corte Verde di Corso Como designed by Cino Zucchi Architetti and then on to Via De Cristoforis, and a chance to admire the window displays at Y3, passing Virgin Active Classic, the AXA building and Porta Garibaldi station, presided over by the twin newly-restored post office towers. On the way to the Isola district is the Milanese architect Stefano Boeri’s innovative “Vertical Forest” edifice, specially conceived for Expo 2015. Alongside is the new Google Italia headquarters by William McDonough, where the Pandora headquarters are already ensconced. Right in the heart of the Isola district, the focal point of Milan, the tour takes in a visit to the Casa della Memoria, and the Riccardo Catella Foundation, housed in a small Liberty building, with the Ratanà restaurant, serving traditional Milanese food with a contemporary twist, on the ground floor. This is followed by a visit to the Incubatore per l’Arte, a space devoted to social and cultural networking and budding crafts enterprises and a tour of the covered plaza at Palazzo Lombardia, the zero-emissions skyscraper designed by Pei Cobb Freed & Partners in New York, and the Caputo Partnership and Sistema Duemila in Milan. The walk continues towards Porta Nuova Varesine, with its three residential Solaria, Solea and Aria high rise blocks, designed by Studio Arquitectonica, Miami in collaboration with Milan’s Caputo Partnership. 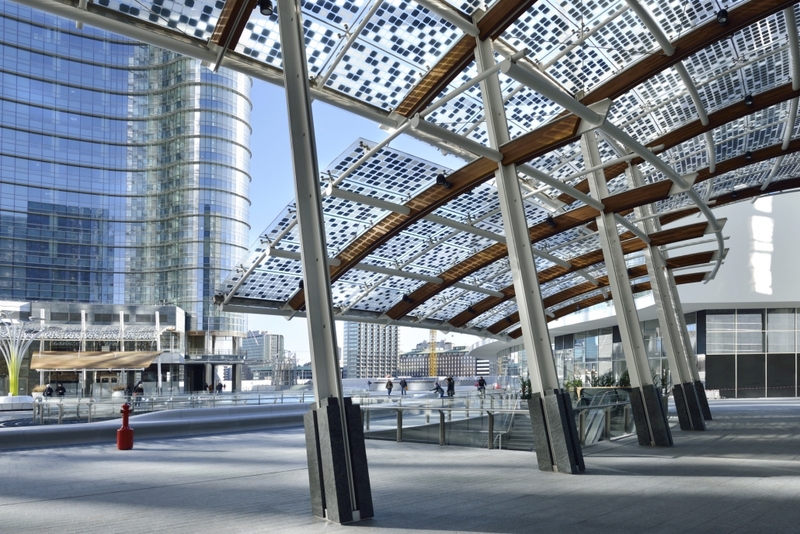 Among Porta Nuova’s other new edifices in Via Vincenzo Monti, inspired by traditional residential dwellings, are the Ville di Porta Nuova built by M2P Associati in Milan. The tour ends at the foot of the Diamond Tower – its name derives from its irregular and faceted geometry – by Kohn Pedersen Fox Associates. This 137 m high glass and steel skyscraper is fast becoming an icon for Milan’s new skyline, an integral part of the all-round Milan Experience. Contact us here for information and reservations.